Depictions of landscapes and natural environment have always been of interest and concern in literature. When thinking about nature writing the first thing that comes to mind is the description of place. However, nature writing is not only about the beauty of picturesque landscapes or variety of plants and species. Because of the present environmental crisis, literature requires new ways of thinking about the natural world, which makes the term “nature writing” frequently problematic for writers. The chapter depicts new ways of perceiving the natural landscapes of Scotland in the light. 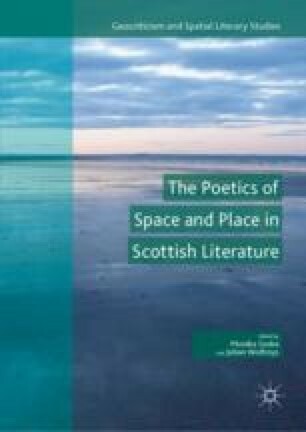 Through analysis of Kathleen Jamie’s collections of essays, Findings and Sightlines: A Conversation With The Natural World, different depictions and understandings of the natural world are explored, ones that encourage readers to look at the depicted places afresh. The observation of nature can be understood in a broad sense—from admiring Scottish landscapes through watching birds and cobwebs around a house or cancerous cells under microscopes. Jamie’s insight into places of Scotland causes readers to look at them afresh, showing that nature can be found not only outdoors. Jamie’s non-fiction sheds a new light on the nature and landscapes of Scotland combining them with domestic realities and scientific observations.